I just had a wonderful visit with my staff at NASA’s Wallops Flight Facility. 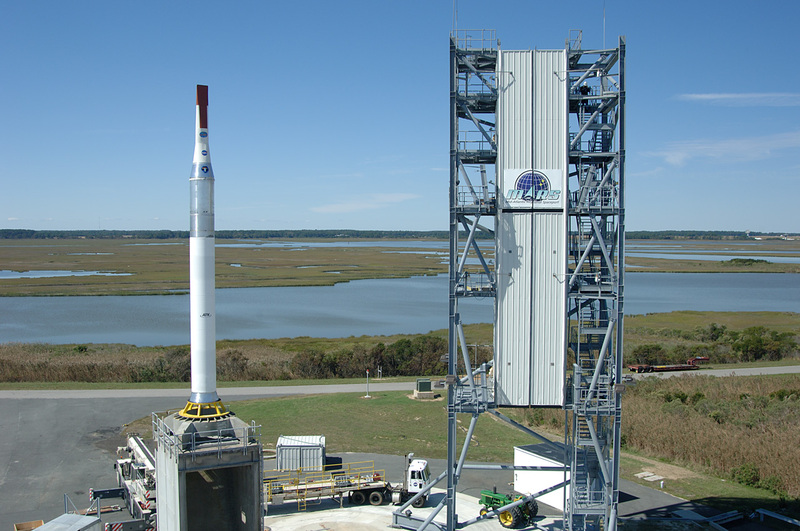 Many do not know that the Wallops Flight Facility is NASA’s ONLY owned and operated launch range. A short 45-minute “E-ticket” ride on NASA 8 takes you to one of NASA’s amazing best kept secrets (I suppose I am dating myself to say I remember when you had to have paper tickets for some of the “good” rides at <?xml:namespace prefix = st1 ns = "urn:schemas-microsoft-com:office:smarttags" />Disneyland). Nestled quietly between chicken coops and the powerful surf of the Atlantic Ocean, Wallops Flight Facility is home of MARS – not the planet – but to the Mid-Atlantic Regional Spaceport. Just think, the quip “to the moon, Alice” would only take a short three hour drive from our nation’s capital to the charming Delmarva Peninsula to reach a full-service space port. One of my superheroes, Scott Webb, gave me a scenic tour of the manhole infrastructure on Wallops Island. My mind drifted a second to thoughts of the Maytag Repairman and the bane of every IT service provider – Email. I really, really hate Email. I hate it because it has grown to be such a mission essential technological service, yet it has its genesis in Rudy-Poo “best effort” capabilities. Yet CIO service providers must find a way to make it work. The infrastructure can’t fail and must be reliable. And if we succeed, we will be like the Maytag Repairman – forgotten. Along a marsh-wrapped causeway is a technology infrastructure that is reliable, scalable, and serviceable. It’s often easy to overlook the engineering fetes of the network superheroes when they do good work. It’s the loneliest job in the world when your infrastructure works – people forget you. It’s also the loneliest job in the world when Email stinks – people don’t forget that. It’s a tough gig to aspire to be forgotten. At first blush, driving along the road looks like dirt and round metal disks; but it’s an invisible marvel of technology that most people will forget. It just works. And as NASA’s Goddard Space Flight Center begins to provide more and more essential services for our nation’s Space Agency, the need for reliable mission communication services enabled by that often-forgotten underground infrastructure becomes more critical. Pay no attention to that man or woman in the man hole – that’s your unsung hero on Chincoteague Island, VA; Greenbelt, MD; Fairmont, WV; or New York, NY – providing communications services to infinity and beyond. As you know, I’ve been a very, very good girl this year. Thanks, in advance, for getting me the things on my list. As you know, I’ve been a very, very good girl this year. I’m especially grateful that Goddard’s Center Director signed off on our IT strategy. Thanks, in advance, for making it possible to get the things on my list. A strong, happy, and healthy family. A motivated, capable IT workforce to help transform IT management at Goddard. We’ve been through a lot of turbulence for the past few years. I would like for us to learn about making choices and taking actions. I would like a strong and courageous leadership team who will be capable of leading the workforce through times of change. To live happily ever after. I would really, really like to see IT be a stronger enabler that helps Goddard meet NASA’s mission needs. Some people just think about desktops, laptops, and email – all of this HAS to work, I know. But, I’d like to also see IT better help our scientific and engineering heroes win proposals, build and launch spacecraft and deliver superior science products. Peace on Earth. IT Governance has to do with: Who makes decisions about IT? How are those decisions made? What is the process of informing those who make the decisions? Are we investing in the right thing? And why? I know this is a lot of work, and may even take years, but if we get this working well, we will have improved security, more interoperability, better information sharing, and better delivery of IT services. Oh, and one more thing, a ring. I’d like to consolidate the infrastructure as much as practical so that we can reduce costs and increase our ability to secure the perimeter. If we can reduce costs, the savings can be reinvested. If we reduce the cost to secure our perimeter, we can make this problem more and more solvable. Oh, and it will be easier to share information and collaborate with other boys and girls. Ok, that’s all for now. I really, really, really hope I get what I want. I can hardly wait to open my presents. My old boss Skip, used to say that people who spend time in Second Life need to get a First Life. Well, there has clearly been a lot of hype surrounding virtual worlds such as Second Life. Perhaps the hype has many wondering about the practical aspects or business benefits of such environments. There are some real applications. Technology strategists need to get past the hype, begin to look for real applications and find ways to measure the value. In Gartner?s Hype Cycle for Emerging Technologies 2008 (Whit Andrews, et. al), Web 2.0 and Virtual Worlds are in the Trough of Dillusionment? ?because the technology does not live up to its over-inflated expectations, it rapidly becomes unfashionable and the press abandons the topic.? This stage precedes the Slope of Enlightenment where ? ? [f]ocused experimentation and solid hard work by an increasingly diverse range of organizations lead to a true understanding of the technology’s applicability, risks and benefits. Commercial off-the-shelf methodologies and tools become available to ease the development process.? Nevertheless, Gartner has predicted that by 2011, 80% of all Internet users will be members of virtual worlds. As I?ve said in previous posts, I learn kinesthetically. It?s been my goal to learn about the value of these virtual worlds by actually getting in and trying it. When I was asked by 1105 Government Information Group to do a panel on Second life, I figured I had to learn about it quick. Frankly, I welcomed the opportunity to moderate and to stop procrastinating about it and learn. So I decided to go visiting this weekend ? traveling to virtual worlds. Explorer Island is founded and maintained by NASA’s Jet Propulsion Laboratory (JPL). The island houses many interactive mission exhibits and several meeting places. I picked up a tee-shirt, but I can?t seem to find it. The virtual CoLab is a dedicated ?island? in the ?Second Life? online virtual world. NASA CoLab is a member of the SciLands “continent.” Provides educational content and helps to foster communication of NASA?s mission. I sent my husband a postcard. Virtual adventures where you can soar through a hurricane, rise gently through the atmosphere atop a weather balloon or search for a hidden underwater cave on a side trip from a NOAA submersible. This world was content rich, but being a rookie in SL, I seemed to have ?picked up? something I can?t figure out how to put down. Those who know me, know I hate shopping, but since I was in the ?neighborhood, I did stop by a friend?s store. My friend is a business owner, builder and explorer of Second Life. He owns this particle effects shop in Second Life. These are pretty cool visual effects that people can buy. I didn?t buy anything though. Provides advice to customers about doing business in a virtual environment. Offers guidelines to its customers about how to conduct business in a virtual environment. Gives advice for leadership in a virtual environment. In particular, lessons learned from the gaming industry. It was kind of fun doing this exploration, safely from my kitchen table. I have barely mastered walking, I got ejected off of someone?s island (I think I got offended, but I?m not sure), and my Second Life client kept crashing. Though I did run into (literally) someone in the Electric Pixels store and I didn?t interact with anyone. I do see the practical possibilities here though. I look forward to traveling around some more.